Unpack your bags and move into this fabulous home located on a beautiful tree lined street just a short distance to town, train and all Reading has to offer. 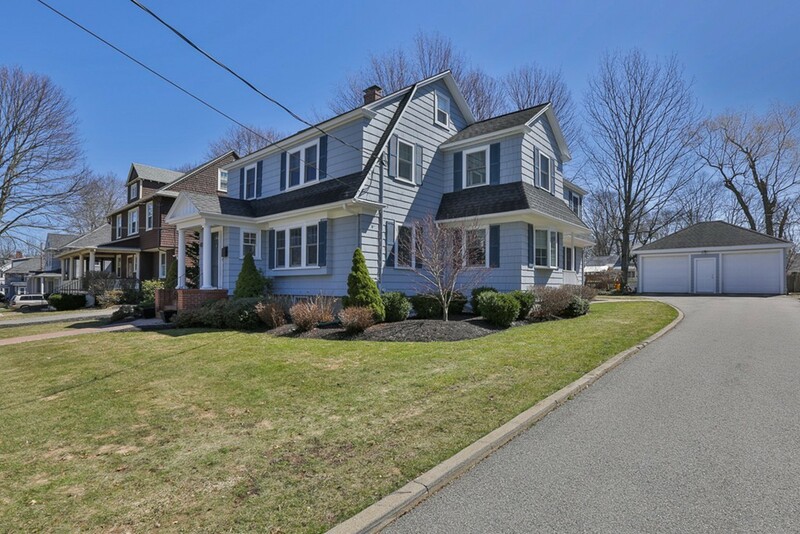 This four bedroom colonial has been lovingly updated with new stainless and granite kitchen in 2014. Enjoy both the charm of yesterday and the modern updates for todays discerning buyer. In 2002 an addition was added with a first floor family room and a large Master bedroom and Master bath on the second floor with a gorgeous tiled walk in shower. With summer approaching relax in comfort with Central AC or entertain on the large cedar deck overlooking a private professionally landscaped yard. All this and an oversized two car garage makes this property complete. Make an appointment today. there is a french drain on one side of basement.